Officially licensed Grateful Dead® socks with rainbow dancing bears – one of the most popular items we carry in our music festival store! These socks are a 80% Cotton 20% Nylon blend. They are technically ladies crew socks and have correspondingly sized soles. However, older kids with larger feet can comfortably wear them as well. 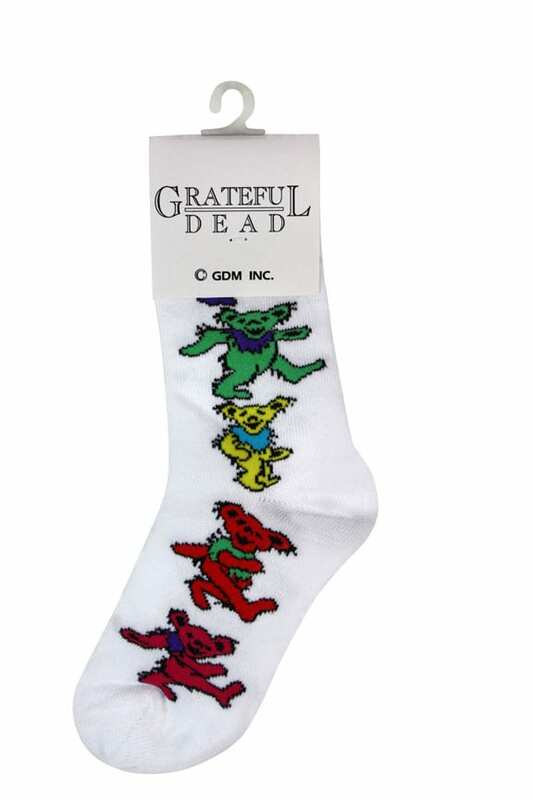 Makes a great gift for fashionable Deadheads – or treat your dancing feet.